The task of braving and successfully conquering a food festival can become somewhat of an art form. Especially in Los Angeles…people get craaaay-zeeee. Not only do you need to gracefully intercept nosh-bites, you’ve got to multitask the situation while balancing a teetering stack of at least 5 plates and a full glass of wine without loosing your cool or your food to the (often times) outside and uneven playing field. Twisted ankle anyone? No fumbling on my watch! 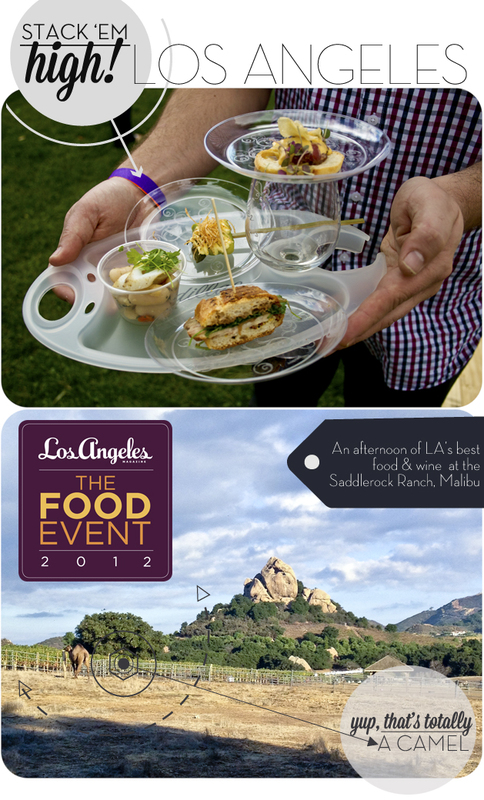 Recently I had the great gut-busting pleasure to attend Los Angeles Magazine’s The Food Event. These guys aren’t messing around and they put me through one amazing food obstacle course at the Saddlerock Ranch in Malibu. No, you are not mistaken…that is a camel up there. There were also zebras, ostriches and Chef Ludo in the house. 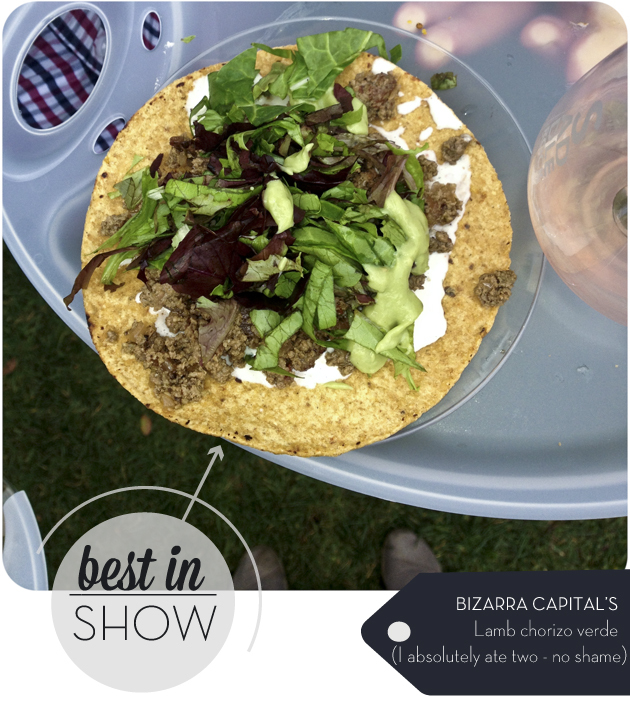 Speaking of amazing… My I introduce my favorite meal of the afternoon: Bizarra Capital’s lamb chorizo verde. I realize there were a lot of fancy chefs making a lot fancy food at this particular event (and high fives are being sent out from my stomach to your crafty plates) but there is something so jam packed with love in this particular dish that I had hearts in my eyes for days. Whittier, why has your food been hiding from me? Also — why hasn’t anyone fed me lamb chorizo before?? I’m forever changed and maybe I ate two of them all by myself. I would have had three if the mister wouldn’t have held me back. They were that good. Where this tostada may look unassuming to the internet eye – I promise you this: so much flavor, so much soul and oh so much guacamole. You know how to win me over Bizarra Capital and I praise you with every single bite. Can’t wait to take a little field trip your way. Where the food was amazing, the best entertainment of The Food Event was grabbing a seat in the front row of the demo arena. I’m a big fan of Evan Kleiman and her Good Food podcast, but boy does this woman shine as an MC. Evan, you really know what questions to ask, how to point out the nerdiest of details and quite frankly, you are so much more than just pie. 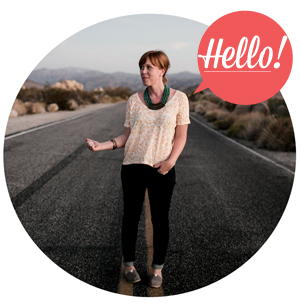 You even cracked some cranky French Chef demo-time smiles….just sayin. 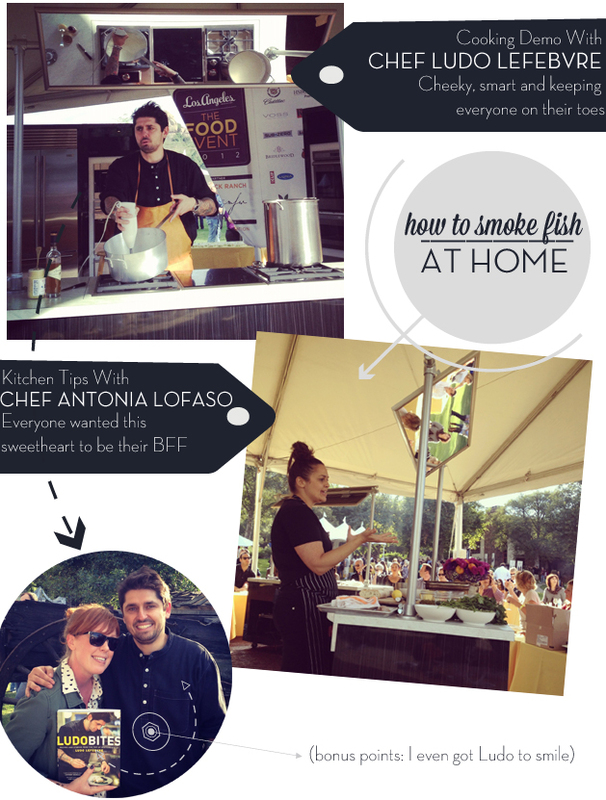 Chef Ludo Lefebvre and Chef Antonia Lofaso are neither strangers to our tivo queues. On stage they were personable, charismatic, funny and well…we were all pushing for firsties in line to become fan club members and hopefully real life BFFs as soon as they left the stage. Just make it out to Kristin, Ludo. Also taking on the grand demo-stand was Matthew Biancaniello – the main man mixologist for The Roosevelt Hotel’s Library Bar. 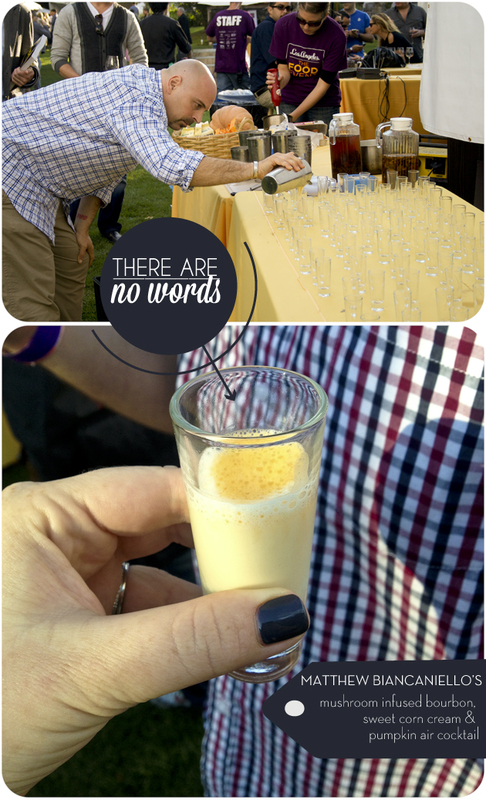 And by “also taking the stand” I mean this guy body slammed the stage WWF prime time style with one of his most outrageous food-drink-concoctions to date: Mushroom infused bourbon with sweet corn cream and a pumpkin foam. Goodbye 7-course Thanksgiving, I just drank Autumn in a shot glass and am rolling on the ground in make believe piles of leaves in sweet rejoice. With that I lift my empty plate and glass to you – What an amazing event, what a magical ranch and what an incredible time. With jazz hands and curtains closed – I’ll see you next year LA Mag. 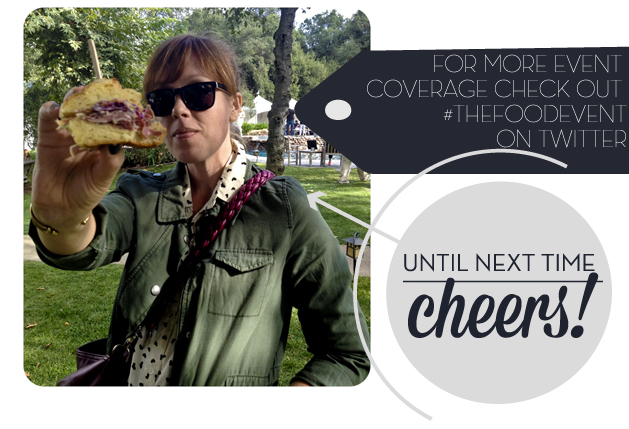 To check out more coverage on the event search #TheFoodEvent on Twitter and Instagram.